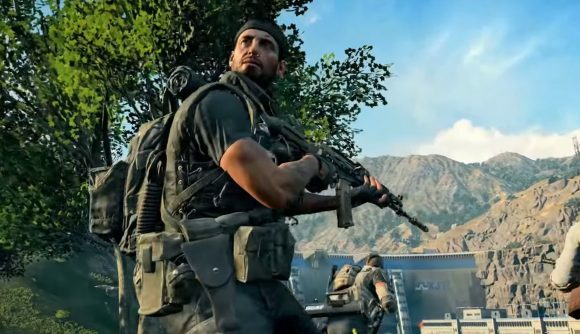 We knew Call of Duty: Black Ops 4 microtransactions were coming, but now we know when. The latest update on PlayStation 4 brings COD Points, the real money currency, online. It’ll be a week before the changes go live on PC, but this lets us know what to expect – and it does include a way to bypass the grind for tiers in the Black Market. COD Points start at $2 for 200, though as you might expect you’ll get discounts for buying in bulk up to $100 for 13,000. If you’ve already bought the season pass, you’ll automatically get a bonus of 1,000 COD Points when the update is live. You can spend those points on additional Nebulium Plasma for Zombies, or on Special Orders, which according to the patch notes “provide a new content stream to unlock in the Black Market.” Purchasing one gives you new sets of unlocks to grind for alongside the standard tiers. Special Orders will rotate on the store, but once you buy one it’s yours forever. Black Market tiers can also be purchased directly, at 100 COD Points each. That means it’s roughly $200 dollars to take the full progression from the first level to 200. If you don’t pay, the progression would – by some accounts – take hundreds of hours to complete, and that’s just for the first season. That means you’ve gotta dedicate some serious daily hours if you want to unlock everything for free. Whether by purchasing tiers or grinding through them, there’s no apparent end to the process. Once you hit tier 200, a further set of tiers opens up with access to basic Reserves items. As YouTuber RaidAway discovered, you can keep buying those indefinitely. The Black Market tiers offer only cosmetic items, so players who don’t want to grind or spend extra cash aren’t missing anything substantial – though this new monetization system still seems aggressive. Check out our guides to Black Ops 4 weapons and Black Ops 4 Specialists. If you’re strapping in for the grind, best to make sure you’re making the most of all that time – even if your performance doesn’t make it go faster, you’ll at least feel better while doing it.